Mixed Materials for Wood Wedding Rings? I've always wanted a wooden wedding ring. I particularly liked the idea of having a platinum ring with a strip of wood in the centre. Having done some research I thought Ebony would be the best as it is very hard wearing. I've found some I like which are titanium and wood and I would be intending to wear it everyday. I'm just wondering whether this is a practical choice. I don't want it to break in a few years. I also thought having the mixture of metal and wood would give it more strength than just the wood alone. Wood rings mixed with metal inlays, or metal rings mixed with wood inlays, are very popular right now - and continuing to grow in popularity. 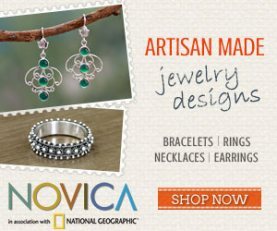 Not only do these styles of rings offer a beautiful and unique look and feel, but they can also be structurally stronger than a wood ring alone. I say "can" because it all depends on the workmanship. Rings made with mixed materials need to be crafted with the best workmanship to be strong and wear well for everyday purposes. So yes, the rings can be stronger than wood rings alone as long as they are made with superior workmanship. Ebony is a great wood for wood wedding rings, but so too are other types of hardwoods including: ash, birch, cherry, eucalyptus, maple, mahogany, oak, olive, rosewood and walnut. Many of these woods are highly prized for the purposes of wood rings because of the stunning grain and patterns they offer. Just make sure though that whatever type of wood used for your ring is sustainably sourced. How will a ring made with mixed metal and wood materials perform overtime with everyday use? That will again depend on the workmanship of the ring and how much wear and tear the ring goes through each day. For any rings with wood, care needs to be taken to protect them from exposure to chemicals and water as well as hard blows or dings. Many wood rings though - especially those which include metal inlays - are sealed to further protect the wood and increase the strength of the wood. With everyday wear, a new seal application may be required every couple of years to keep the wood in tip-top condition. 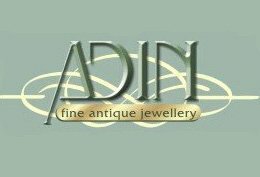 Wood rings - and wood rings with inlays - crafted with superior workmanship can last for many years, decades and even generations if they are treated well and cared for. 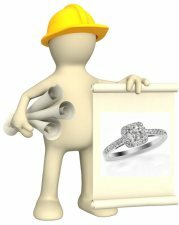 While you may be able to wear the ring everyday - it should be dried quickly if it becomes wet and the ring should be removed if you are going to be performing heavy duty activities with your hands. I hope this information answers your questions - and do write back if you have additional questions about wood wedding rings. Comments for Mixed Materials for Wood Wedding Rings? 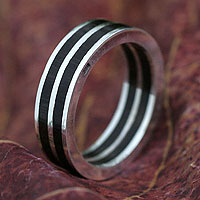 I've been looking at tungsten wedding bands with wood inlays and Koa wood has come up a lot. Its not listed in your recommended types of woods so I'm just wondering if you can comment on their quality and durability. Koa wood is a durable high quality wood and will be added to our list of recommended woods! As with any type of wood inlay though, the wood will not be nearly as strong as the tungsten so this type of ring will not offer the type of durability as a pure tungsten ring. Unlike tungsten, wood will scratch and should not be exposed to water for long periods of time (even with a protective coat). 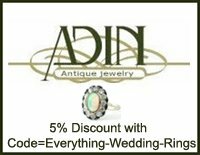 While this type of ring is more durable than a solid wood ring, it will still need more care than a regular tungsten wedding band. Click here to return to Wooden Wedding Rings. Find authentic Antique Wedding Rings and engagement rings with our handy guide! 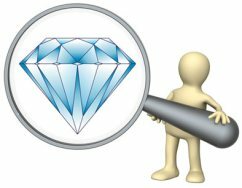 What is Moissanite, and how does it compare to a diamond? 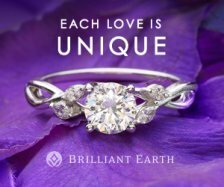 Find out here why Palladium is an excellent wedding ring metal! 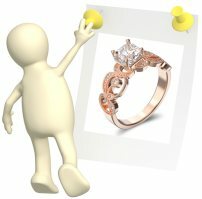 Searching for more about the History of Wedding Rings? 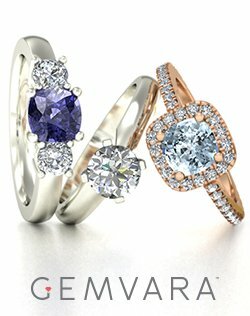 See a comparison of wedding ring metals Here! 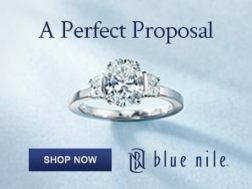 Looking for Rose Gold Wedding Rings? Find out more about rose gold rings here! Discover all the parts of a diamond with this Anatomy of a Diamond page! 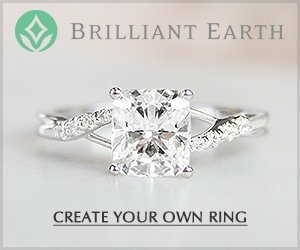 Questions about Wedding Rings or Engagement Rings? 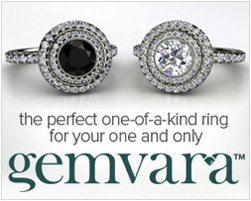 Copyright(C) 2009-2019 everything-wedding-rings.com. All rights reserved.